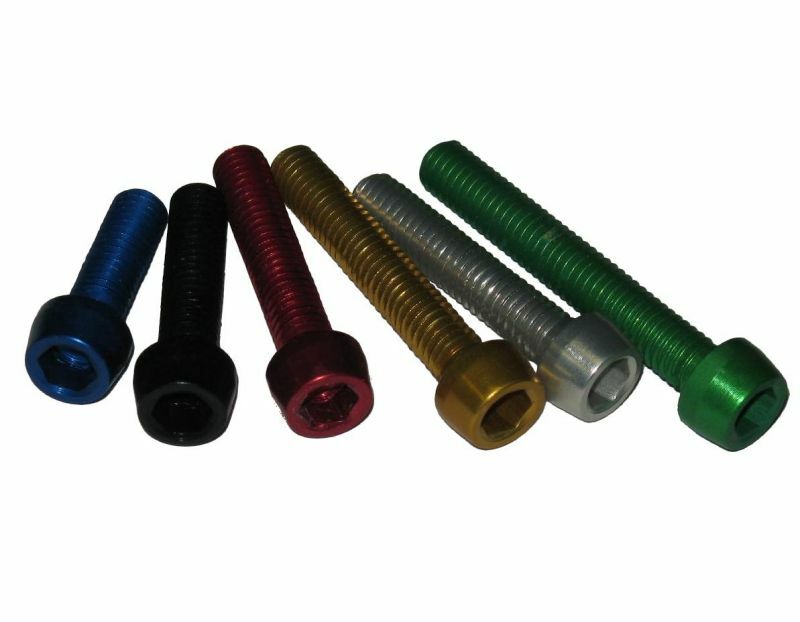 VBG Hexagon socket head cap screw (TCCE) ergal 7075T6 6 colors. Made with solid material using CNC no thread rolling or other systems. 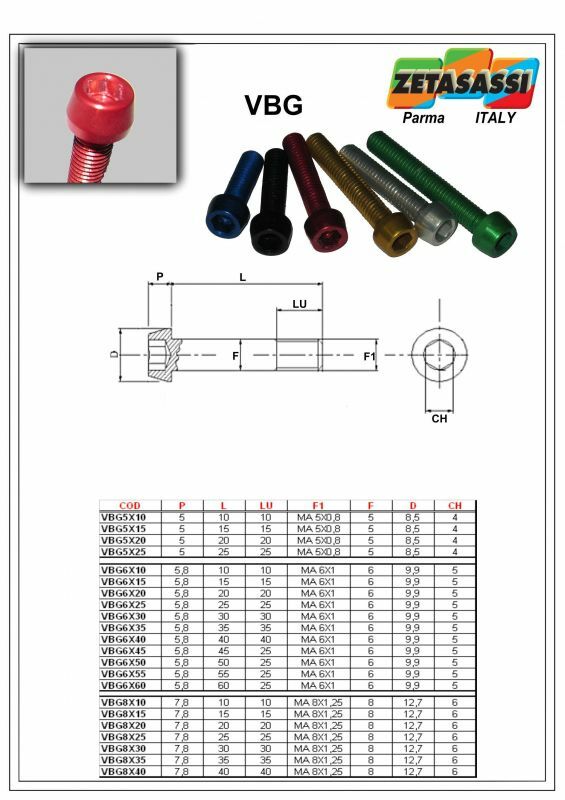 So you get the best quality as the material is not heated or pressed keeping its features.